A newsletter is one of the most efficient ways to communicate and build a relationship with consumers. 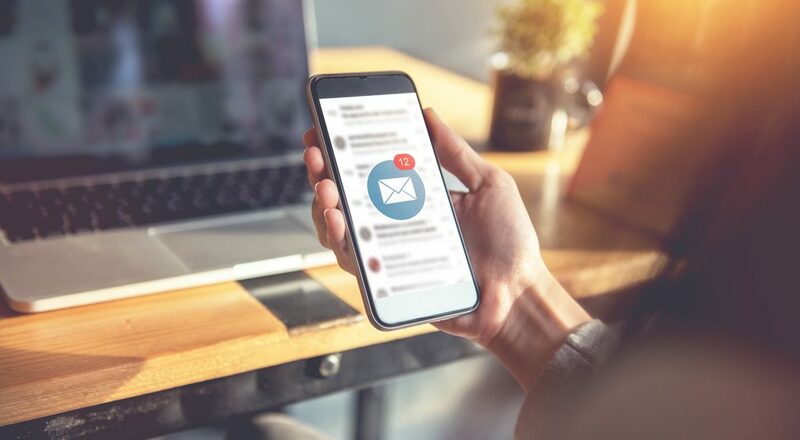 Based on research from Nielsen Norman Group, 90% of survey respondents said they wanted to receive information via email newsletters compared to just 10% via social media. Newsletters are one of the best ways to build trust and loyalty. Consumers who do not trust a brand will not buy into anything you are selling because they do not understand what your business represents. Engagement, top-notch customer service, and respect for your consumers will go a long way in building a network of trusting and loyal followers. Did you know that 81% of online shoppers research your brand before buying? If you have negative comments, bad product or service reviews, or improper engagement, it will hurt your online reputation significantly. Participation is one of the most critical elements of your online status. When you respond to negative replies with a positive and business-friendly perspective, it shows others that you take customer service seriously. When you target customers, it is not all about sales. A newsletter is about familiarity, so you can use this platform to let people know about your staff, changes in policy or procedure, new product or service launches, or to thank them for their patronage. The more that people interact with your company, the more that you will feel like family. Why did you start your company? What are your business goals and objectives? What does your business stand for economically or socially? You might be surprised to learn that consumers want to know this type of information before buying products. Taking the time to detail critical social engagement lets consumers know your company is more than a product or service. Consumers who see you are actively engaged in social responsibility will also feel better about supporting your company because you are paying it forward. Based on recent data from Top 10 Website Hosting, triggered and auto-responder newsletters (those attached to subscriber lists) have a 45.70% and 34.80% CTR rate. With 90% of consumers preferring emails, it lends credibility to the use of newsletters as a useful tool that boosts referrals and sales leads because subscribers are already interested in your business’s products or services. Consistency is key to building your brand’s authority online. When consumers recognize a company as an industry authority, it boosts confidence in your product or services. Concisely written content, consistent newsletter format, style, and color schemes enable people to feel a sense of authority with your newsletter knowledge and design concept. Newsletters can be informative, exciting, and insightful, but the overall goal is to boost sales. Newsletters have one of the highest rates of sales conversions as compared to other marketing tools since your subscribers already use your brand or service. A well-written and well-designed newsletter will boost your sales and improve your profit margin. If you need an efficient, expert newsletter designer or writer, contact us so that we can help your business brand, build authority, and boost sales. We are a full-service multi-media company that will help your business grow as your reputation and influence do.